Don’t despair if you (or perhaps your children) aren’t planning on earning a four year college degree. Degrees are very expensive and in this post recession economy, don’t necessarily guarantee the best return on your dollar. There are interesting entry level jobs to which someone without a college degree can aspire. Of course, if you can go to college and if you choose a field that will pay you well enough to earn a good return on your college dollar investment, you will most likely be better off in the long run. A college degree does pay more and gives you a much better ‘foot in the door’ with most employers. A look at the Occupational Outlook Handbook, put out by the US Bureau of Labor Statistics drives that thought home. Clicking on the box that pulls up the highest paying occupations, you will see that many different kinds of doctors are paid very well – more even than your average Chief Executive Officer. If you use the search function on the site, try putting in the criteria of just a high school diploma and the very highest salary level. The only one that shows up is elevator repair person! But it requires an apprenticeship and who knows how to find one of those? Add the criteria of ‘Moderate term on the job training’ and that even disappears. But there are good jobs to be had and the data compiled by the BLS are general, not specific to you. My hair stylist gets $70 for about an hours worth of work – for a cut/color/wash and style. She works for herself and has built up many regular and consistent clients over the years. She works 3 – 12 hour days a week and sometimes stacks clients (so she is working on someone else while my color is setting). I suspect she makes quite good money – lots more than the $22,700 quoted above. My son and I are special cases. We both earned college degrees, but in fields with few job opportunities at the BA level. I went back to community college in the 1980’s to earn an associates in computer programming and worked my way up to Systems analyst and software development manager. He went to some training to win several different certifications in web programming to get his start and then has put in the time working on many different types of development. I did well financially and he is ahead of the game as well – not too awfully far behind salary wise to my other son who obtained a computer engineering 4 year degree from an engineering school. So, take heart if you are not college bound. Take a look at these jobs, which Career Cast.com pulled from the BLS Occupational Handbook as the Best Jobs Without a Degree for 2014. IT is also a possibility but you have to work hard to compensate for the lack of a degree, building your own portfolio and possibly doing free lance and independent contractor work. Certifications in specialized areas might also help. Pursue an area that utilizes your strengths and is interesting to you. Work hard and learn all you can. You will advance in both expertise and experience and financial compensation – especially if you succeed in starting a business of your own in your area. What jobs do you know about that have been great for folks without a college degree? Great list! I know many people without degrees who work in sales. They make a killing also! Only if they are good at selling! I have come to believe that today whether one has a degree or not is not as important as whether one has education or not. And education can be got at university/college and elsewhere; for instance taking MOOCs and using other resources. Only danger in ‘unguided’ ad hoc education is the one Woody Allen mentione (he said that when he decided to expand his vocabilary he tried to memorise the dictionary and ended upwith load of words rom the first part of the alphabet). I agree that one can learn the facts and skills needed elsewhere. However, proving that you know those facts and can apply them and demonstrating the skills can be difficult unless you get the chance to do so. 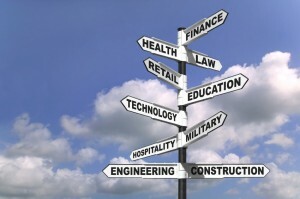 Having a degree, a certification or a load of experience are all ways to get that chance. My boyfriend is a carpenter who dropped out of the nursing program after his freshman year of college when he got offered a full time job contract as a theatrical carpenter. Now he makes almost 6 figures; a lot more than me and my expensive degree. That can happen, but he may not be able to stick with it as long as you can – depending on what your degree is and what physical requirements your career has. Good for him. I wish him well.